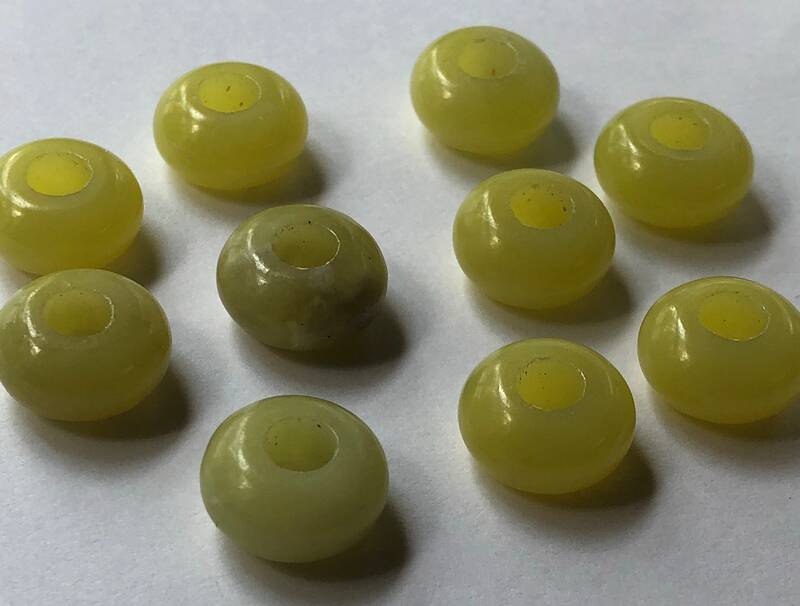 Large hole european style yellow green colored agate gemstone beads are gently treated, leaving a nicely polished finish. 1 piece. 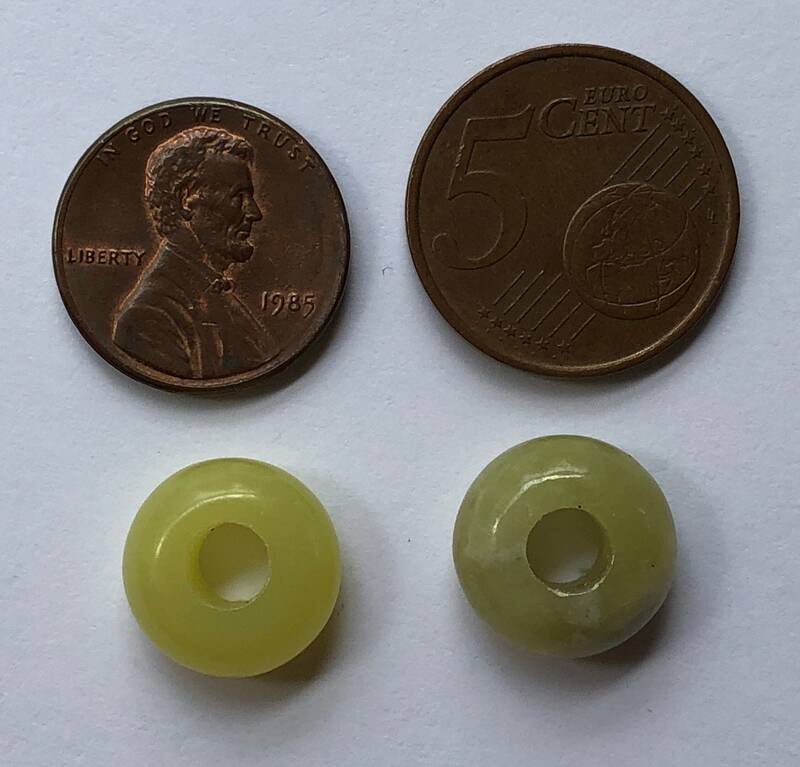 Beads measure 14mm round x 7mm thick, with a 4.5mm hole size. 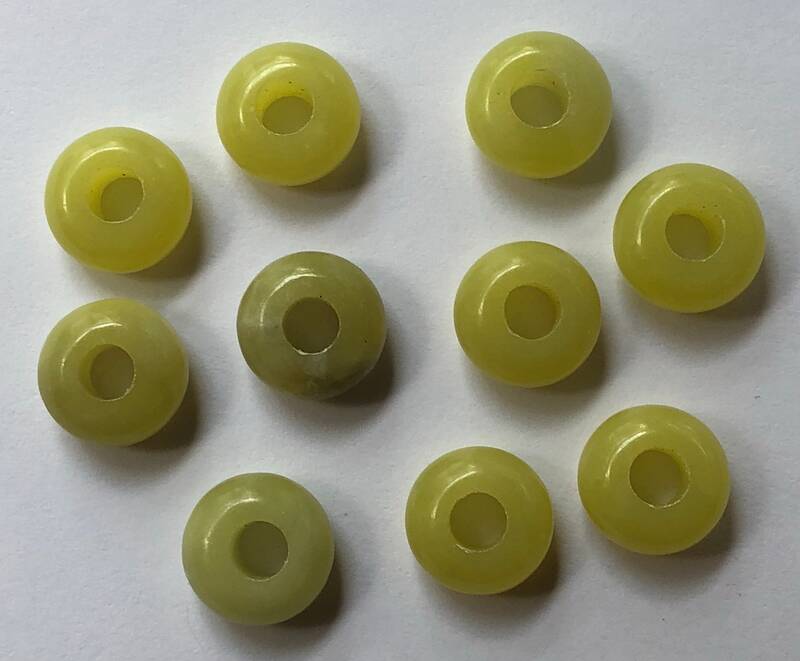 Beads are good quality and consistent among pieces. Beads are popular for use on large hole chain designs such as bracelets and necklaces. Beads are consistently shaped among pieces. Natural gemstones will vary in each lot, no two pieces are alike. Beads are checked prior to packing in order to remove any defective pieces. 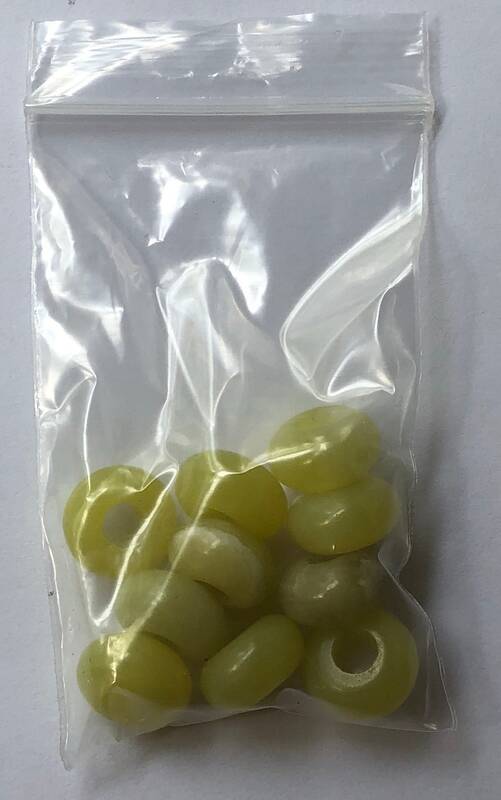 Beads are sold without metal cores, but can be purchased separately. 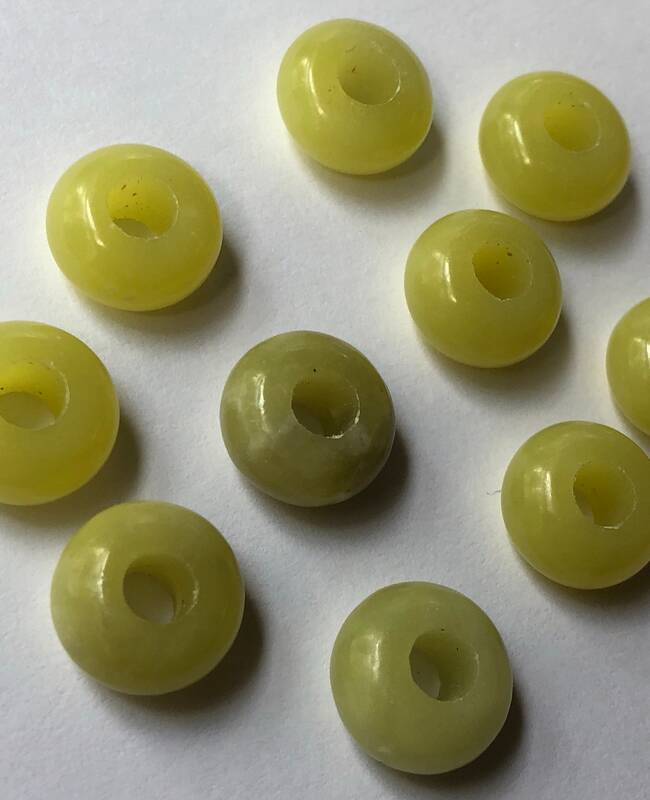 Beads may be heated/treated/dyed/stabilized for color, consistency, appearance, and/or finish.